Are you looking to transform your back-end systems? Invest in more modern technology stacks? Tools such as automated workflows have been proven to increase efficiency by as much as 30%¹. Upgrading aging technology stacks which have outlasted their creators has been a priority for insurers in recent years. 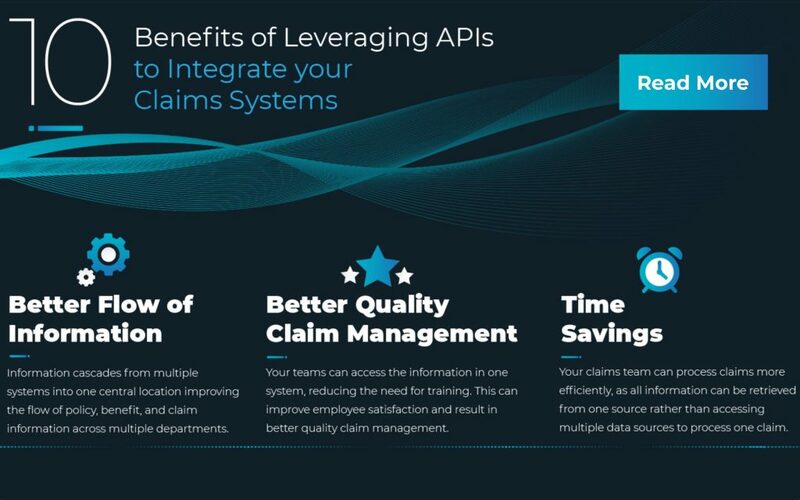 Claims departments are often referred to as back-end systems, considered to have little or no effect on the front-end of the business. However, those of us who have operated on or been subject to archaic systems, where claim representatives have to access multiple systems to enter the information for one claim, would beg to differ. Of course, with budgetary restraints, it’s difficult to get approval for a big bang approach to a system overhaul. More and more insurers are beginning to see the benefits of using an agile approach, where data is pulled from old systems and integrated with newer technology to improve the flow of information across the business. We have built our software on the Salesforce platform, a PaaS vendor, which provides strong API capabilities for accessing data in external systems. These APIs allow us to integrate with our customers’ external systems, such as payment processing, document generation, policy administration systems, etc. You can integrate your data using different methods, depending on the volume and frequency of change. This guide outlines the best methods of integration for your business. Want to learn more? Contact us at info@claimvantage.com.